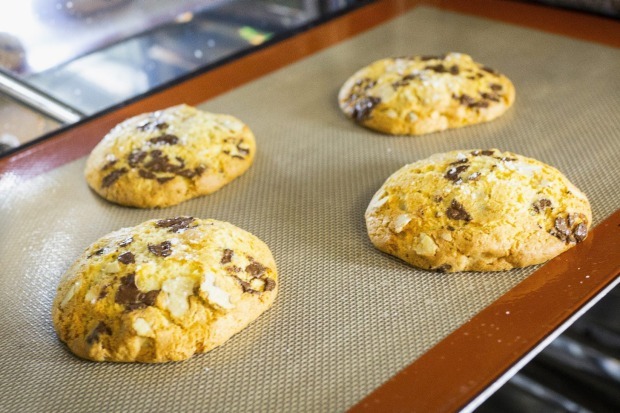 The brilliant invention of the choc-chip cookie is attributed to Ruth Graves Wakefield, the Massachusetts Toll House Inn owner who added chocolate chips to her butterscotch nut cookie in the 1930s. The recipe eventually ended up on the back of Nestle packets of choc chips and the rest, as they say, is history. 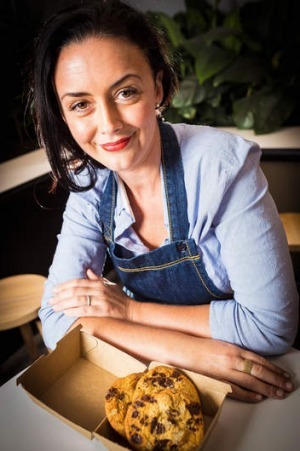 Co-owner of Melbourne's three EARL Canteens, Jackie Middleton formed her addiction to Wakefield's cookies early on, but after years working as a food stylist and front of house in restaurants, she's taken the original choc-chip packet recipe and glammed it up. 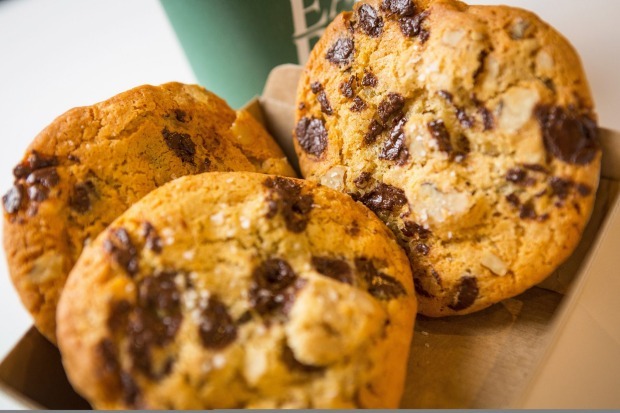 EARL Canteen bakes 200 cookies daily, often to order if the stores run out, and they have rarely gone off the menu since the first EARL Canteen opened in 2010. 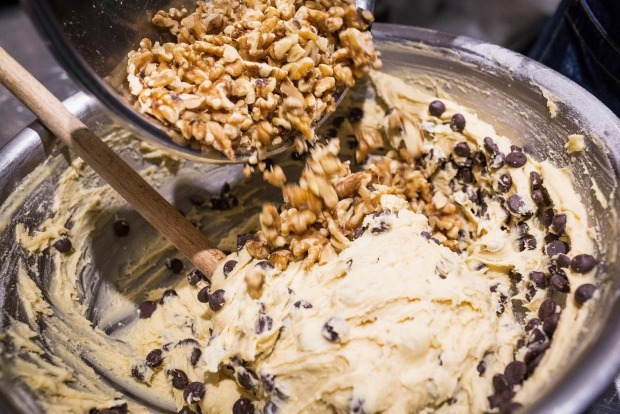 Each batch is made from perfectly formed frozen logs of cookie dough to create a thin, crunchy yet chewy-centred, mix of biscuit, nuts and chocolate, the richness offset with a sprinkle of sea salt. "It's really just chocolate held together with dough," she says. Middleton has perfected her recipe but knows there are plenty of ways for the home cook to get it wrong. Impatience, she says, is the enemy of the baker. 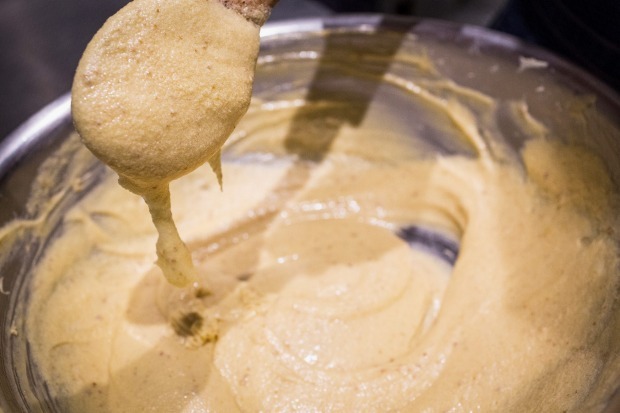 "I know it's tempting to try and get your cookie dough into the oven as soon as possible but it's essential that it is chilled, otherwise the dough will start to melt before it cooks, and your cookies will spread all over the oven tray," she says. "If you're really desperate to start baking, put the dough into the freezer until it's chilled." 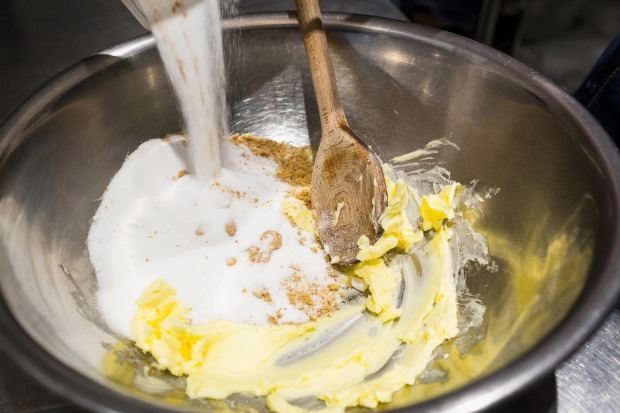 Middleton also uses baker's flour rather than ordinary plain flour in the biscuits as she says it has a firmer crumb and makes the cookies sturdier. Creaming the butter and sugar really well until the sugar is completely dissolved and the mix is light and fluffy is crucial, she says. 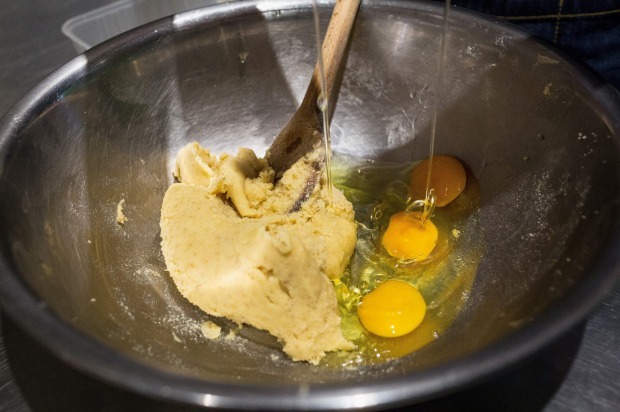 And you also need to make sure the egg is well mixed into the sugar and butter mixture, beating out any curdling. Middleton warns that your oven will have an impact on how your cookies bake. Try cooking one or two cookies until you get the timing right. Cook longer for crunchier biscuits, a shorter time for softer chewier cookies. The recipe below includes brown sugar but Middleton uses Panela, also known as raw evaporated cane juice, for its caramel flavour in her biscuits (hence the flecks of brown in the step-by-step photographs). For perfect cookies, Middleton recommends a silicon mat, as it won't curl up in the oven and ruin the shape of your cookies. 1. 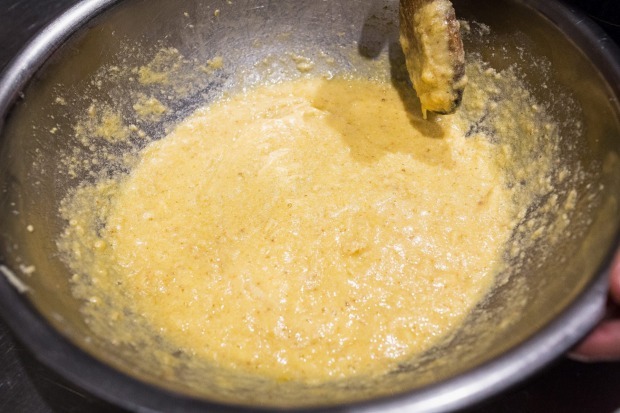 In a large bowl beat the softened butter and sugars until creamy. 2. Add beaten eggs and mix well. 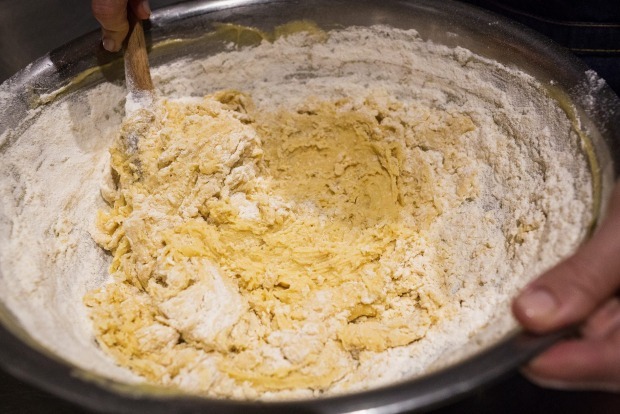 The mixture may look curdled – if so, keep beating until it's smooth and all the ingredients have been incorporated. You can use an electric mixer for these two steps or just mix well with a wooden spoon. 3. 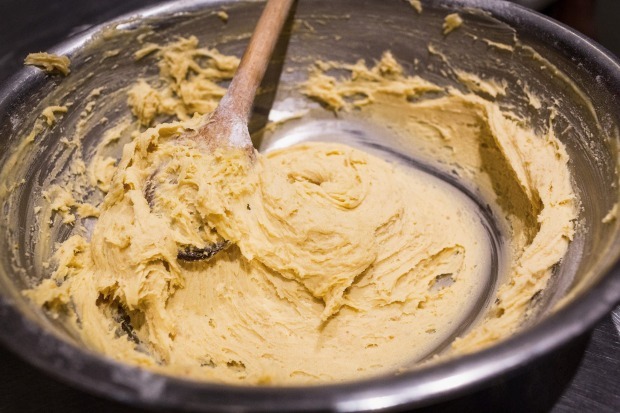 If using an electric mixer, switch to a spoon to incorporate the flour, baking powder, salt and vanilla. 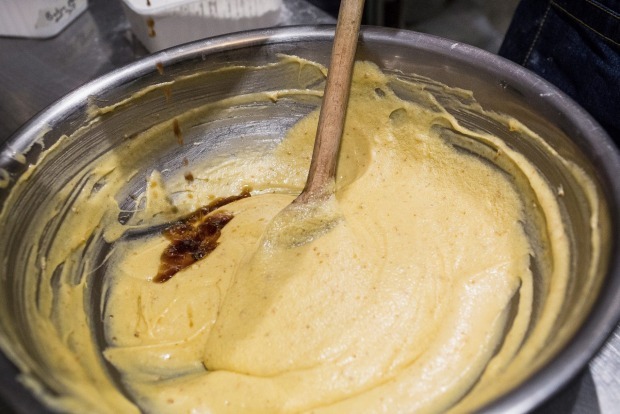 Mix well, until you have a heavy, sticky batter. 4. Stir in the choc chips and walnuts. Store in a tub in the refrigerator until chilled or make into logs for freezing (see below). If storing in the refrigerator, use within seven days. 5. 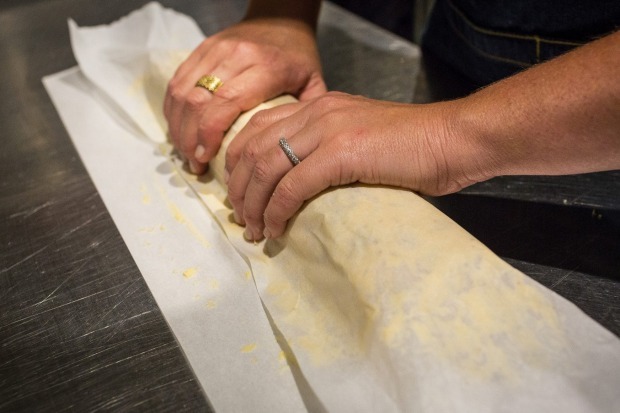 Lay out a length of baking paper and spread half the mix on top of the paper. 6. Form into a log about 8cm in diameter, leaving space at the end of the paper for wrapping. 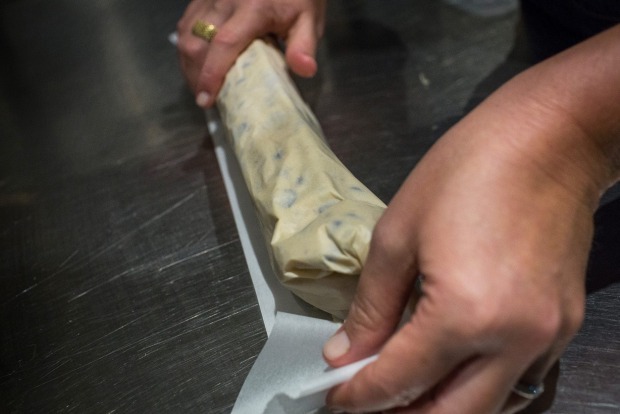 Tightly wrap in the baking paper then wrap again in cling wrap, making the sure the log is firmly sealed. Repeat with remaining half of mixture and freeze until required. Cookies are best baked from cold or frozen dough. Spoon 55g-60g weight on to lined baking trays. Wearing gloves, form the cookies into round flat shapes about 2cm thick and 8cm round. Push the dough off the top of a few choc chips so you can see them easily. Allow space for spreading – they will be about 10cm in diameter once baked. Garnish dough with a small pinch of sea salt. Bake in a fan-forced oven at 160C for 12 minutes until just golden but still pale and chewy. Cool on the tray before removing. Slice off 2cm thicknesses from the frozen log, garnish with a pinch of sea salt and bake as above. 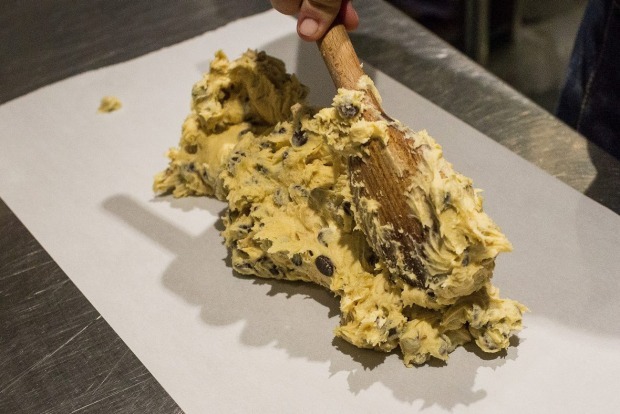 Cookies made from frozen dough will give you a better shape. ​Try chopped hazelnuts instead of walnuts or leave out nuts all together. Vary the type of chocolate from dark to bitter or milk. Add cocoa to the flour for a double hit of chocolate.